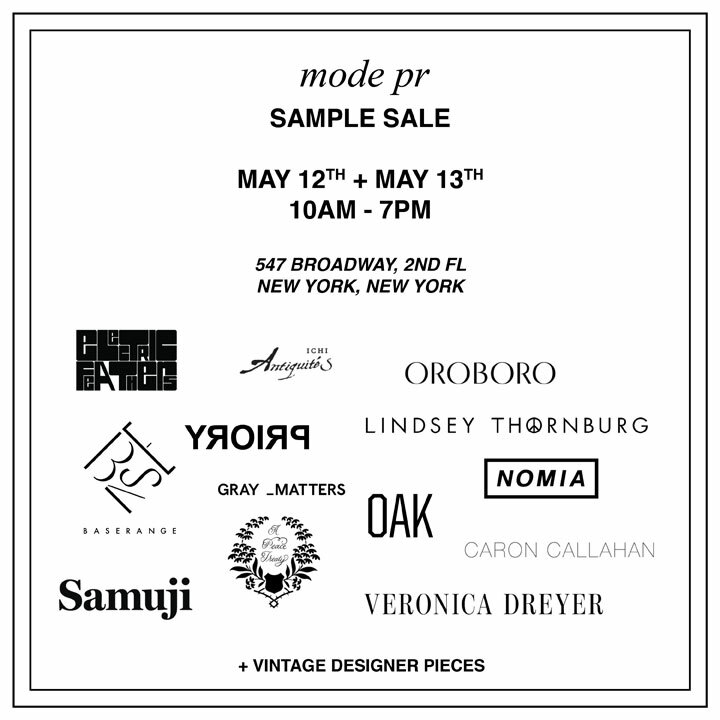 WHY: Women's and men's clothing and accessories at a discount at the Mode PR Sample Sale. MODE PR is a PR & brand consulting firm specializing in fashion, film, and art. 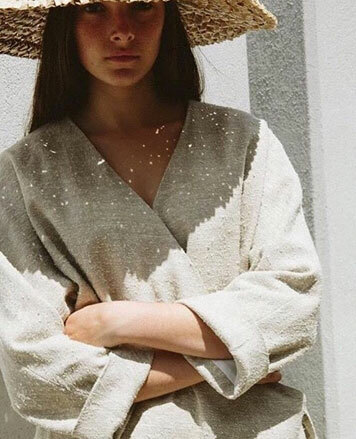 WHY: Get ready to shop the epic In God We Trust Multi Designer Sample Sale. Designers include Carla Colour, Elisa Ballegeer, H. Fredriksson, Hannah Kristina Metz, Ilana Kohn, Kordal, Kurt Lyle, Light + Ladder, Loup, Nikki Chasin, Nomia, Osborn, PO-EM, Poppy + Pima, Rachel Antonoff, Recreation Center, Samantha Pleet, Seek Collective, Upstate, and Wray. 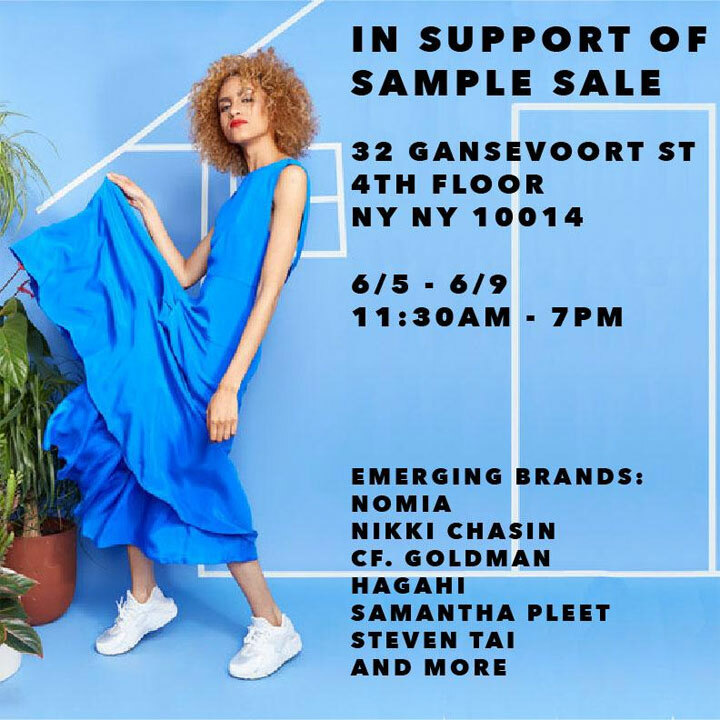 WHY: Women’s apparel from emerging labels at a discount at the In Support Of Sample Sale. Includes merchandise from Nomia, Nikki Chasin, CF. Goldman, Hagahi, Samantha Pleet, Steven Tai, and more. 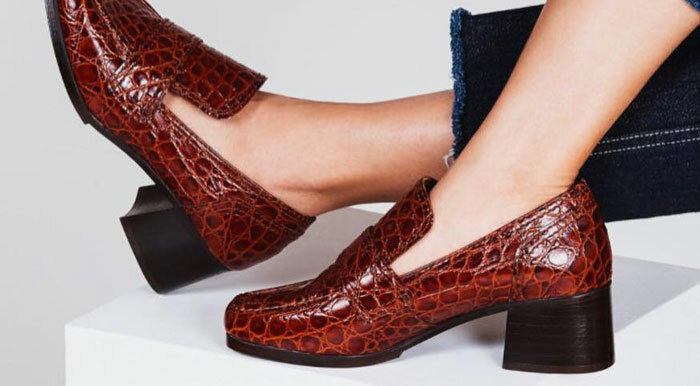 WHY: Women’s and men’s clothing and accessories at a discount at the Mode PR Sample Sale. Designers participating include aserange, Electric Feathers, Oroboro, Lindsey Thornburg, Priory, Nomia, Samuji, Oak, Veronica Dreyer, Caron Callahan, MASAKI Ave., Gray Matters, A Piece Apart and many other vintage pieces.